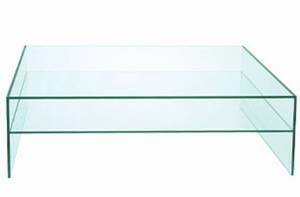 Description Glass coffee table made entirely from clear glass. The joints are formed by bonding the seperate glass pieces together with UV technology, creating an unbreakable bond. Available in square or rectangular, matching side table also available.